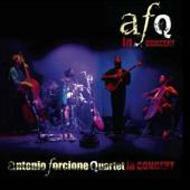 Antonio Forcione - nylon, steel string and *fretless guitar. Adriano Adewale - percussion. Amongst other things, drainpipes cut to different lengths and played with flip flops.